Seven representatives from Connecticut attended the recent Advanced Team Training program produced by the National Grange and presented at Ravena Grange in Coeymans Hollow, NY. This writer along with Jody & Jodi Ann Cameron, Victor Salazar, Jeff & Debbie Barnes and Joan Perry made the trip to the small town near Albany, NY. There were representatives from the states of Connecticut, New York, New Hampshire, Maine, Rhode Island, Maryland and North Carolina. The format of the program is very similar to the Grange Growth Summits that were attended last year. The difference in this program is the focus on leadership and team training. The intense three day program began on Friday, April 16 with an introduction and a personality test. Each member took the personality test to determine what type of personality they have and to understand how personality effects the dynamics of a group. Selection of group members based on personality, among other things, can ensure better results from that group. The Saturday session featured workshops and an offsite team activity. The offsite activity turned out to be a scavenger hunt that required groups of 4 or 5 people to fan out over a pre-determined area to find "a public service official" or a veteran, a child under 10, etc. and have them sign the scavenger hunt sheet. Only two hours was allotted for this activity. All of the members participating found it to be a lot of fun and learned a lot about the strategies involved in asking the general public to participate in something without any prior knowledge. For example, the North Carolina delegation learned that shoppers at a local Wal-Mart really are not interested in giving up any time to anyone asking for help outside the store no matter how cute their accent might be! In contrast, shoppers at a small shopping plaza nearby could be heard saying, "anything for the Grange." Sunday featured a more relaxed morning session focused on evaluating each state's needs and beginning the process of outlining a program that would work for each. Connecticut's team has created a proposal for the State Grange Board of Directors that involves less training outside of the state. Instead, members that have already received Grange Growth Summit, Advanced Team Training and hands-on experience through revitalization meetings in the state will train new team members "in-house." Instead of calling the team the "Revitalization Team" we have selected the name "Grange Growth Team" to reflect the broader focus of this group. The team, as proposed to the Board, would be comprised of a Steering Team that would manage the program with a Revitalization Team, a Grange Organization/Re-Organization Team, a Junior Grange Organization/Re-Organization Team, a Ritual Team and a Youth Recruitment Team. As we have explained in earlier articles, the process involved in each of these areas requires multiple visits to Granges. A team handling even two or three Granges can expect to add at least 18 or more meetings to their schedules over a 3 or 4 month period as teams need to follow up with Granges and help them through the revitalization process. Clearly there is a limit to the number of Granges a single team can handle and the plan outlined above makes the process much more manageable. In the coming weeks and months the members of the existing Grange Growth Team will invite members they have identified as potential candidates for slots on these teams to attend meetings to introduce them to the program. 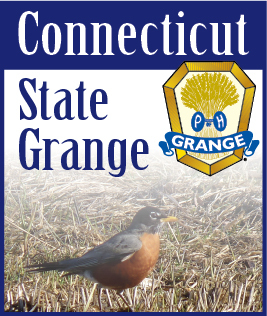 Afterwards training will begin and we will then be able to roll out a more comprehensive program to benefit the Connecticut State Grange. Right now, the program is being outlined and defined by the team with the support and input of the State Grange Board of Directors. More information on this exciting program will be announced as it becomes available.